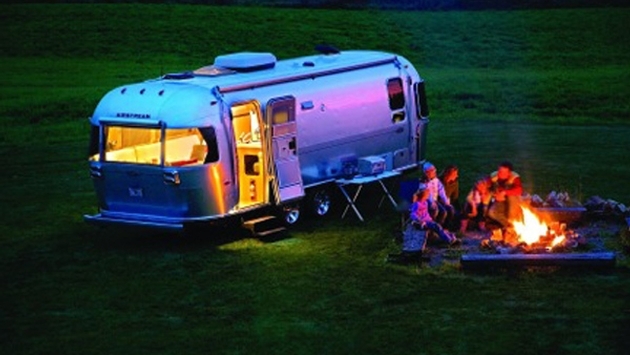 Airstream has symbolized travel in America since 1931, but it wasn’t until Airstream 2 Go was formed in June 2013 that travelers could rent Airstream’s popular trailers. Airstream 2 Go has understandably received a lot of attention since founder and CEO Dicky Riegel first introduced the company to the public. The company is based in Las Vegas and Los Angeles, with a seasonal station in Bozeman, Mont. It offers 23-foot and 28-foot Airstream models for rent, complete with a GMC Yukon Denali as a tow vehicle. You can either “Take It & Go” or Airstream 2 Go can provide a customized itinerary based on your needs. Riegel, who served as the president and CEO of Airstream in the mid-2000s, knew offering Airstream trailers for rent was a viable business opportunity because, well, Airstream customers told him so. Of course, part of the reason it took so long for a company like Airstream 2 Go to come along is because filling Airstreams with amenities while offering a customized experience is an extensive undertaking. That includes rock climbing, visiting historic American venues, exploring national parks, driving along the California coastline, tasting wine country, taking your kid across the country to start college, and celebrating birthdays and weddings. Themed itineraries are also available, whether you want to surf the California coastline or go fly fishing in Montana. Heck, Airstream 2 Go even arranges for a chef to meet you at your campsite if you want. But what about the trailers themselves? Well, for one, Airstream 2 Go prides itself in the comfortable beds it provides for customers, complete with high-end sheets. The “5-star hotel on wheels”—as Riegel calls it—can also include a refrigerator, a microwave, a coffee maker, air conditioning, a bathroom with a shower, kitchen equipment via Zappos.com, a flat screen TV, a bike rack, a grill and camping chairs, among other things. Oh yeah, the company also offers an iPad Mini to customers, which includes Airstream 2 Go’s official app, manual information with videos, and custom playlists of music. And for those who haven’t traveled with a trailer before, Airstream 2 Go offers an extensive orientation process. The fact that Airstream 2 Go works with Off the Beaten Path also helps. Off the Beaten Path has made its name on providing top-of-the-line travel experiences, receiving numerous accolades in the process. In fact, Riegel and his family traveled the American West in their Airstream a few years ago through Off the Beaten Path. 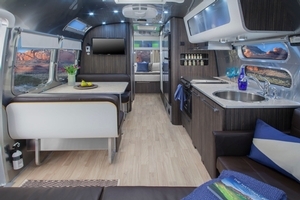 The experience paved the way for Airstream 2 Go’s inception. In terms of what’s in store for the future, Riegel said that there’s the potential for Airstream 2 Go to expand throughout the United States. For now, Riegel has reason to be pleased with the success of the company. Customers can use Airstream 2 Go trailers for up to 14 days, with no mileage limit. Have anything you would like to share? Email me at rrudnansky@travalliance.com.